Now, I know you’re not supposed to try new recipes when you’re having guests over. But since my guests are almost always family, I feel perfectly comfortable trying out new ideas on them. They like the food or they don’t, but either way, it’s a chance for me to use people who love me as guinea pigs! 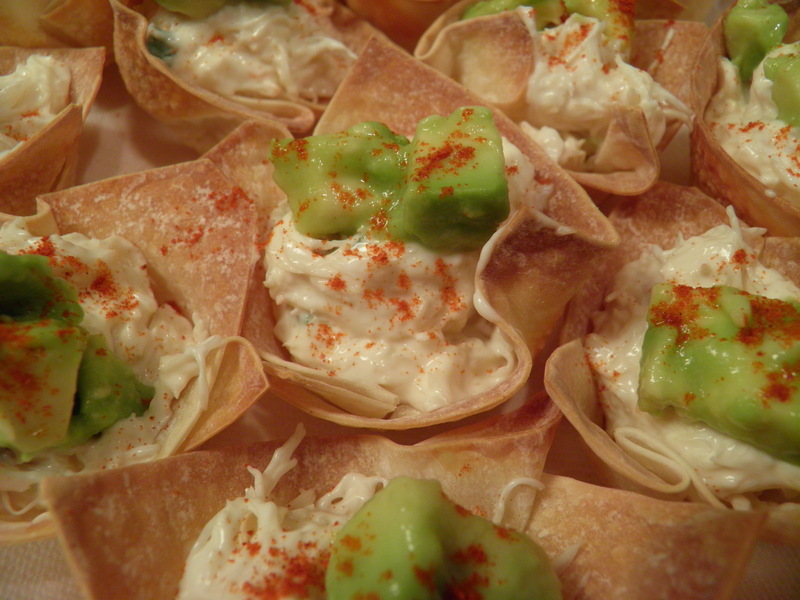 So I tried out a new recipe of my own devising on them yesterday for our Super Bowl gathering: Cream Cheese, Crab, and Avocado Won-ton Bites. It was a hit with those who like and eat seafood. (We have some family members who don’t, so they don’t even try things like this.) 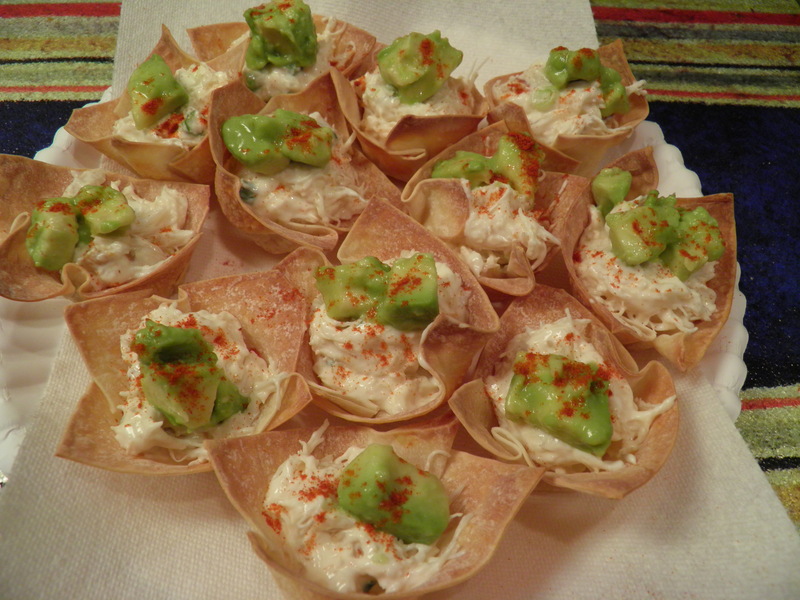 It was an easy and fun appetizer, and really pretty too. Put an oven rack in the center of the oven. Preheat the oven to 375 degrees. 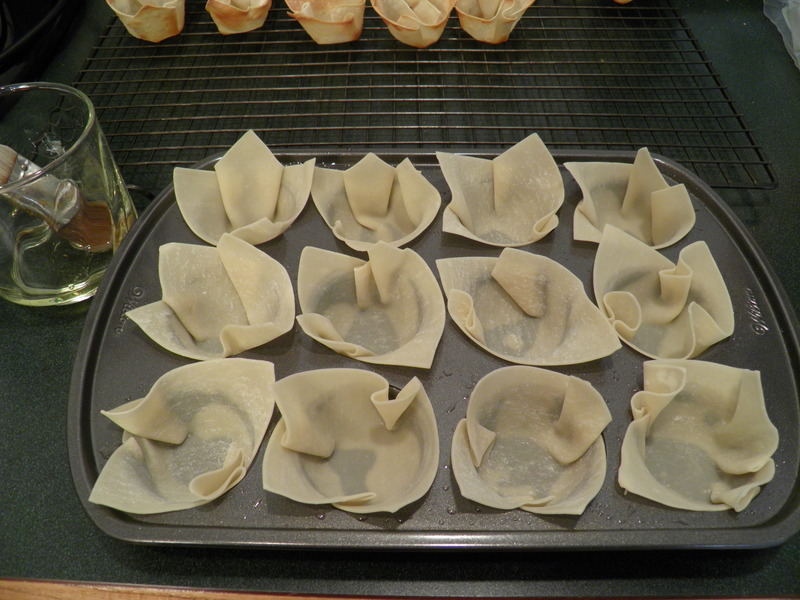 Using a pastry brush, lightly brush the top and cups of the mini-muffin tins with oil. 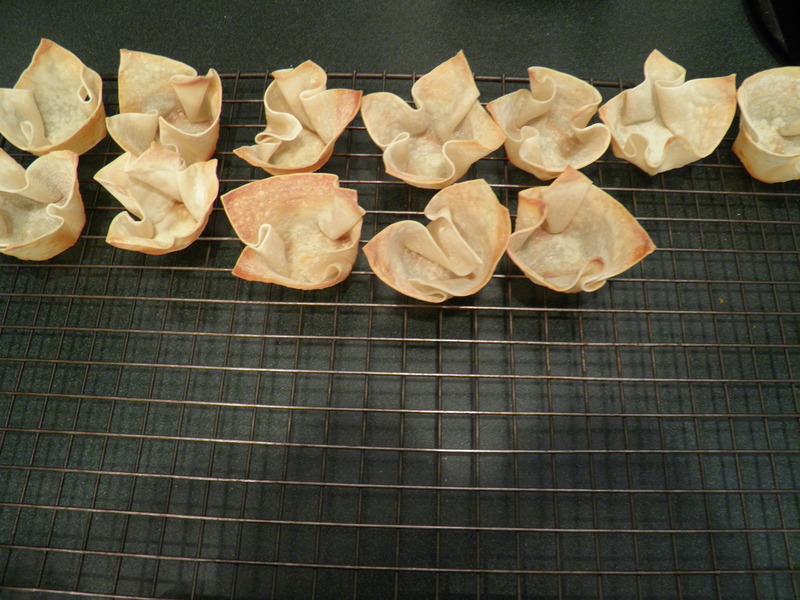 Gently press the won-ton wrappers into the bottom and sides of the cups. Pleat the sides and press as needed to keep the cups open. Thaw frozen crab or use fresh. Drain liquid from frozen crab. Soften cream cheese at room temperature. Beat until creamy. Slice two fresh scallions. 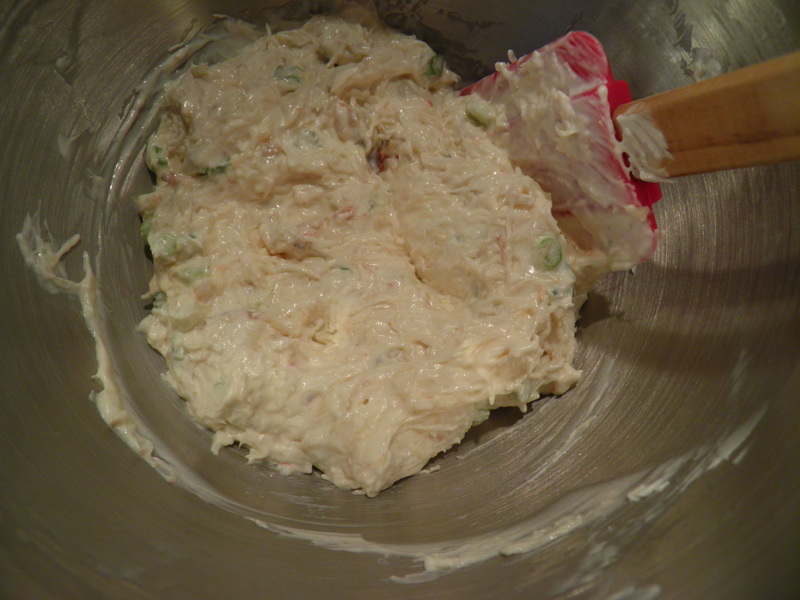 Add crab and scallions to cream cheese (and sriracha, if using) and mix together gently. (I did this in my stand mixer with the paddle attachment, on stir.) Chill mixture in fridge for an hour to firm up the filling. My darling granddaughter couldn’t stop eating these yesterday!